A special thank you to TM Group for sponsoring this event. Market leaders in the provision of innovative online solutions to customers at every stage of the property transaction, helping them access information, take control, manage risk and increase efficiency. The chief executive of one of the region’s oldest building firms will be the speaker at a BusinessDesk.com property lunch. 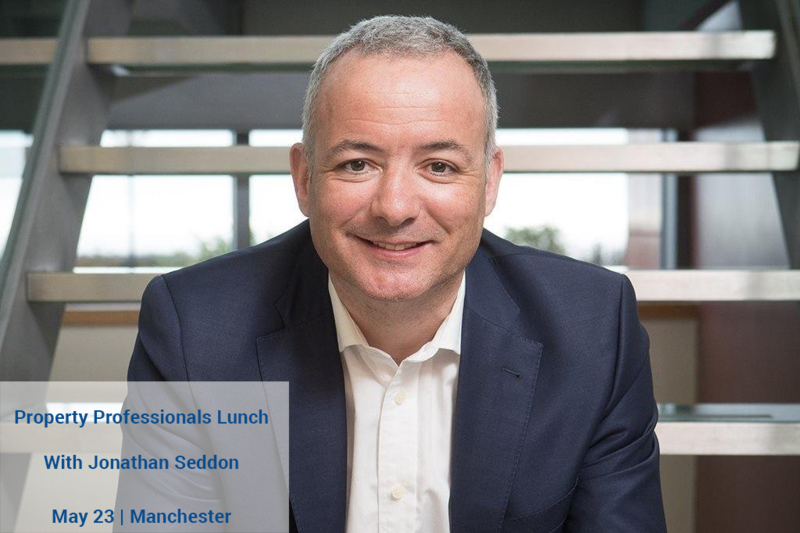 Jonathan Seddon will be speaking to an audience of property professionals at a lunch on Thursday, May 23rd, at The Castlefield Rooms in Manchester. The lunch is being sponsored by the TM Group. Seddon is proud of the fact that it is family business with a history stretching back more than 120 years. The current management team includes three Seddons and they are the fourth generation to run the business. Seddon employs 700 staff from its headquarters on the outskirts of Bolton. The current management team includes Jonathan Seddon, who is chief executive, Jamie Seddon, who is managing director of Seddon Developments and Nicola Hodkinson, director of business services. Jonathan has spent all of his working life in the business and has encyclopaedic knowledge of the building and property sector across the region. He has worked on building sites, managed contracts and now spends his time overseeing the whole operation and fiercely protecting the firm’s culture and ethos. He spends his time keeping an overview of the business and the hundreds of different contracts Seddon get involved with. Jonathan will give his take on the sector and talk about the issues and challenges facing the sector.